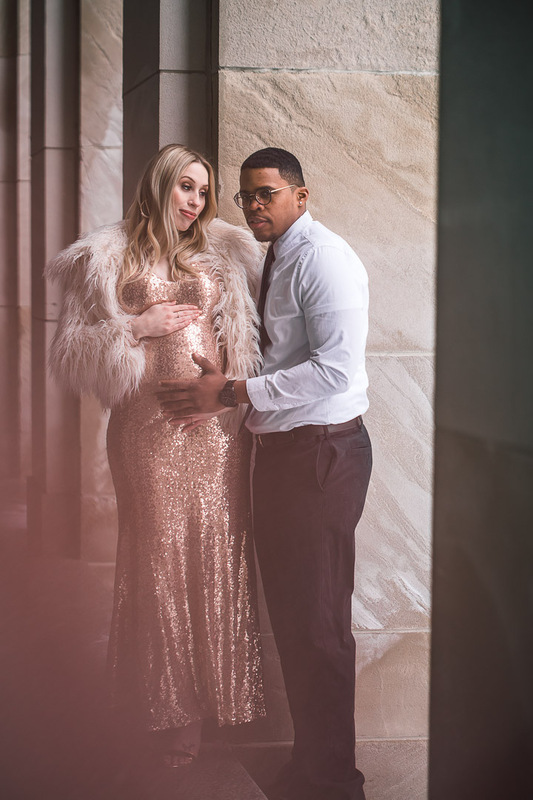 Hannah + Dario: Glam Maternity Session — Darline and Co.
Find yourself a hype man like Dario is to Hannah. Hannah is not your stereotypical maternity photography client. In fact, almost nothing on Pinterest matched her style or vision that she wanted for her session. We spent a lot of time discussing how we could make an indoor session look glamorous. You see, we live in West Michigan, and this winter we were pounded with cold weather and snow from the polar vortex. 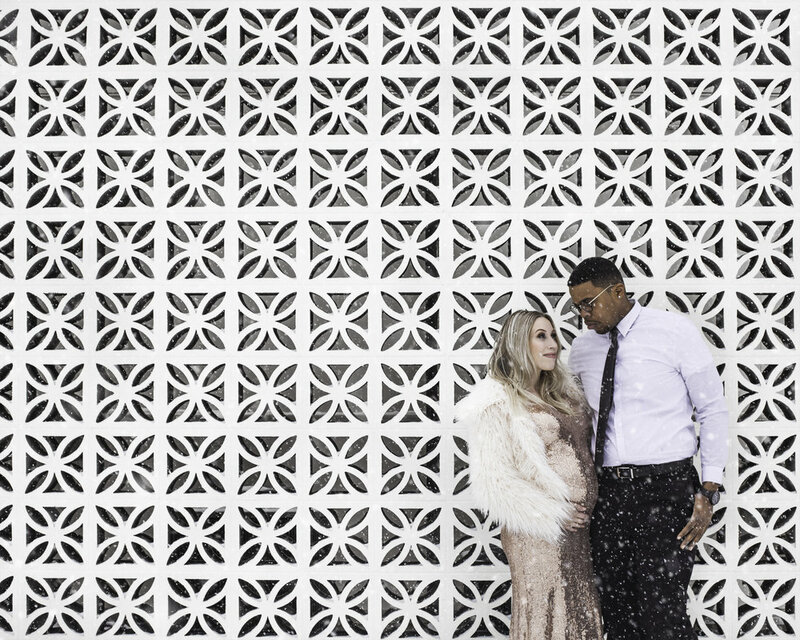 With our luck, we didn’t have many location options for a maternity shoot scheduled in February. It took awhile for Hannah to find a dress she liked for her session. Who knew that the only dresses readily available for maternity were all off-the-shoulder dresses? Literally, this was the one style of dress Hannah did not want (lol). After a few too many shopping trips (online and offline), Hannah found this rose gold sequin gown. From there, we were able to stylize Hannah + Dario’s session. We opted for a timeless yet glamorous feel for her session. We didn’t have any visual inspirations as to how we wanted to look and feel because all of Pinterest is basically light, airy, and outdoors shot with natural light (aka the complete opposite of what we were looking for). We rolled with the punches. As a bonus, the weather permitted so we were able to sneak some shots outdoors as well. Which do you prefer: indoor or outdoor shots?